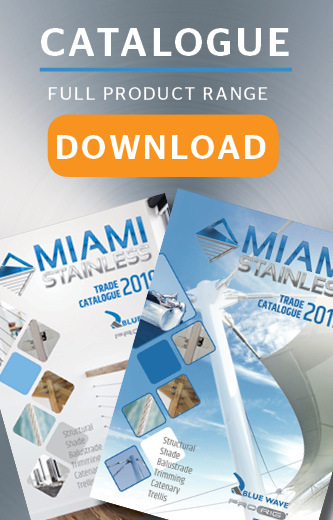 Round Ring 3 x 20mm AISI 316 Miami Stainless 3 x 20mm AISI 316 marine grade stainless steel Roun.. Round Ring 4 x 25mm AISI 316 Miami Stainless 4 x 25mm AISI 316 marine grade stainless steel Roun.. Round Ring 5 x 35mm AISI 316Miami Stainless 5 x 35mm AISI 316 marine grade stainless .. Round Ring 5 x 40mm AISI 316 Miami Stainless 5 x 40mm AISI 316 marine grade stainless steel Roun.. Round Ring 6 x 35mm AISI 316 Miami Stainless 6 x 35mm AISI 316 marine grade stainless steel Roun.. Round Ring 6 x 40mm AISI 316 Miami Stainless 6 x 40mm AISI 316 marine grade stainless steel Roun.. Round Ring 6 x 50mm AISI 316 Miami Stainless 6 x 50mm AISI 316 marine grade stainless steel Roun.. Round Ring 8 x 30mm AISI 316 Miami Stainless 8 x 30mm AISI 316 marine grade stainless steel Roun.. Round Ring 8 x 55mm AISI 316Miami Stainless 8 x 55mm AISI 316 marine grade stainless .. Round Ring 8 x 75mm AISI 304Miami Stainless 18 x 75mm AISI 304 marine grade stainless stee.. Round Ring 10 x 75mm AISI 304 Miami Stainless 10mm x 75mm AISI 304 stainless steel Round Rings a.. Round Ring 10 x 75mm AISI 316 Miami Stainless 10 x 75mm AISI 316 marine grade stainless steel Ro.. Round Ring 12 x 80mm AISI 316 Miami Stainless 12 x 80mm AISI 316 marine grade stainless steel Ro.. Round Ring 12 x 100mm AISI 316 Miami Stainless 12 x 100mm AISI 316 marine grade stainless steel .. Round Ring 12 x 120mm AISI 316 Miami Stainless 12 x 120mm AISI 316 marine grade stainless steel .. Round Ring 13 x 100mm AISI 316 Miami Stainless 13 x 100mm AISI 316 marine grade stainless steel ..